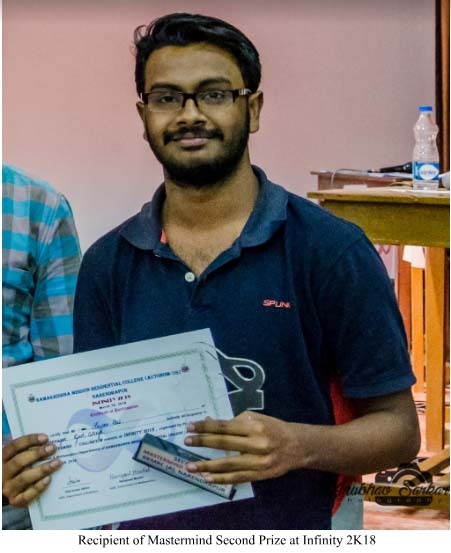 Sayan Das (3rd Year student) of Statistics department stood 5th in all India ranking of IIT-JAM Examination 2019 in Statistics. 1. Sk. 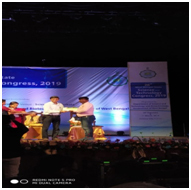 Asraf Ali, Research Scholar, Department of Chemistry, Bidhannagar College is the recipient of Outstanding Paper Award in Chemistry in the 26th West Bengal State Science & Technology Congress, 2019 under the supervision of Dr Subhankar Samanta, Assistant Professor, Dept of Chemistry, Bidhannagar College, who is also the co-author of the paper. 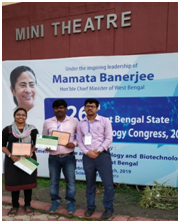 2.Ms Nibedeeta Rani Sarraf Research Scholar, Department of Zoology, Bidhannagar College is the recipient of Outstanding Paper Award in Medical Science in the 26th West Bengal State Science & Technology Congress, 2019. She is Ph.D student of Dr Madhumita Manna WBSES, Principal, Bidhannagar College and also works in collaboration with Saha Institute of Nuclear Physics under the supervision of Prof. Partha Saha and are the corresponding authors of the paper. Achievements of Faculties & Research Scholars from Bidhannagar College in 3rd Regional Science & Technology Congress, 2018 (Southern Region), held at Bidhannagar College. [18-19 December, 2018]. 1. Ms. NIBEDEETA RANI SARRAF: A Ph.D. Research Scholar in the Post Graduate Department of Zoology, Bidhannagar College under the guidance of Dr. Madhumita Manna, WBSES, Principal, Bidhannagar College, Miss Sarraf was successful in securing the first position in the ‘Medical Science Section’ for presenting her paper ‘Application of Whole Genome Sequencing to Explore Mechanistic Origins of Sodium Stibogluconate Resistivity in Clinical Isolates from Indian Kala-Azar Patients’. 2. Ms. DEBANJANA BISWAL: A Ph.D. Research Scholar in the Department of Chemistry, University of Calcutta under the joint supervision of Prof. Syamal Chakrabarti, Department of Chemistry, University of Calcutta and Dr. Nikhil Ranjan Pramanik Associate Professor, Department of Chemistry Bidhannagar College. Miss Biswal was successful in securing the first position in the ‘Chemistry Section’ for presenting her paper ‘Dioxidomolybdenum (VI) Complexes of Different Nuclearity with an ONO Donor Ligand: Syntheses, Crystal Structure, DFT Calculations, Catalytic Performance and Protein Binding Study of the Ligand’. 3. SK. ASRAF ALI : A Ph.D. Research Scholar in the Post Graduate Department of Chemistry, Bidhannagar College under the guidance of Dr. Subhankar Samanta, WBES, Assistant Professor in Chemistry , Bidhannagar College. Mr Ali was successful in securing the third position in the ‘Chemistry Section’ for presenting his paper ‘Synthesis, Photophysical and Biological Studies towards N-fused Heterocycles’. 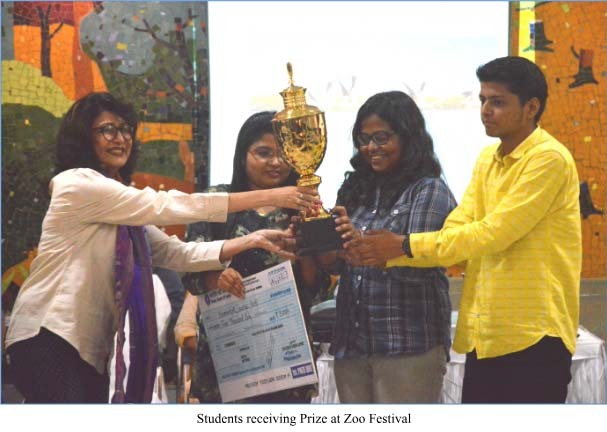 Prarthana Guha (3rd Year), Kasturica Sinha (2nd Year) and Deepankar Sharma (1st Year) of Zoology department	won FIRST PRIZE in the Inter College Quiz Competition 2018 in Zoo Festival organized by Alipore Zoological Garden in association with West Bengal Zoo Authority held at Kolkata Zoo Garden. Award comprises a trophy, a certificate and Rs. 5000 as cash prize. The prize was handed over to them by Mrs. Debasree Roy, eminent	animal lover and actress. Sayan Das (2 nd Year) of Statistics department won SECOOND PRIZE at the program named as “Infinity 2K18” organized by Statistics & Mathematics Departments of Ramakrishna Mission Residential College, Kolkata (Autonomous). 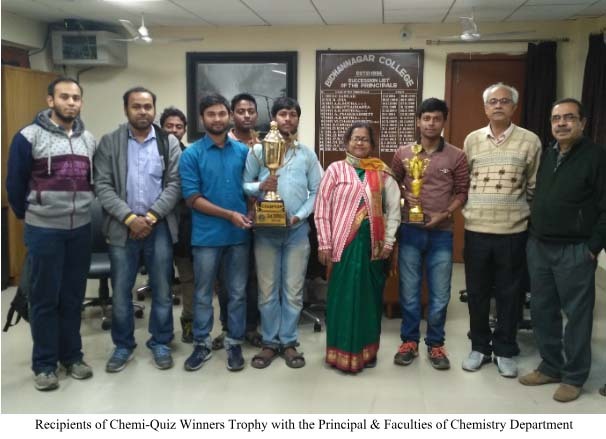 Kaushik Patra, Animesh Sau and Parthapratim Dey of Chemistry department wonFIRST PRIZE at the prestigious 22nd CHEMIQUIZ, organized by Presidency University, Kolkata in January 2018. Amarjeet Paul and Kaustav Das Chaklader (1 st Year) of Physics department wonTHIRD PRIZE in Quiz Contest at the District level competition in West Bengal State Student Youth Science Fair organized by Government of West Bengal in 2018. 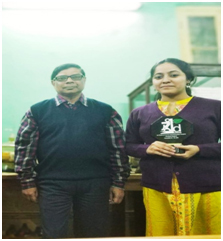 Rinita Mazumdar (2nd Year) of English department and Pragoto (1st Year) of History department won FIRST PRIZE at the District level Youth Parliament Quiz Competition organised by the Department of Parliamentary Affairs, Government of West Bengal in 2018. 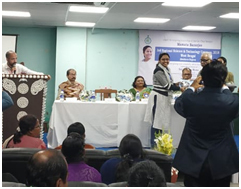 Rinita Mazumdar (2nd Year) of English department and Pragoto (1st Year) of History department won THIRD PRIZE at the Division level Youth Parliament Quiz Competition organised by the Department of Parliamentary Affairs, Government of West Bengal in 2018. 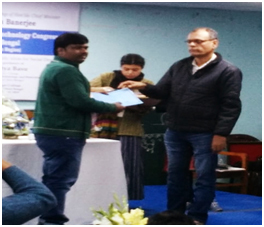 Rahul Podder of Zoology department won SECOND PRIZE for poster presentation at the International Seminar organised by the Sidhu Kanhu Birsa University in 2015. Madhusudan Ghosh of Physics department won THIRD PRIZE in a debate completion organized by ABP Ananda (An one of the Premier News Channel in West Bengal) in 2015. Etimuni Chakma of Education department wonFIRST PRIZE in a Fashion Show Contest in 2014. Bimal Rout wonFIRST PRIZE in a speech competition in 2013. 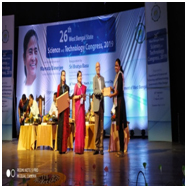 Rahul Podder, Tulika Goswami, Soma Maitra, Tithi Biswas and Tanima Das of Zoology department won FIRST PRIZE for poster presentation at the State Level UGC sponsored Seminar held in Sarajini Naidu College, Kolkata in 2013.